How To Celebrate Your Kid's Birthday? How To Celebrate Your Kid’s Birthday? 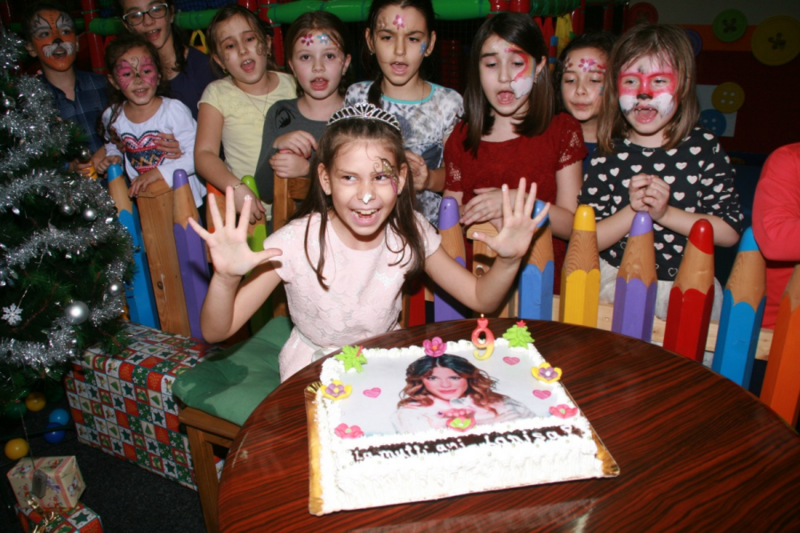 Nowadays, extravagant events, expensive venues, club parties have become a part of children’s lifestyle. The trend of play gyms has been changing the way kids celebrate their birthdays. Not many children would want to settle for any less than extraordinary when it comes to celebrating with low-key parties. This is why many parents believe that a child’s birthday has become an expensive affair. However, in this day and age internet has brought about a major change in placing online orders online. You can just order cake in Jaipur for birthdays making it look like a pricey birthday bash in every sense. Here is how you can add to the party to make your kid’s birthday a special one. Classic games: There is no one who doesn’t remember the games in childhood birthday parties. As a parent, you are more than likely tossed and turned around on what games to fit into the party. Apart from the simple affairs with cake and ice cream the classic games such as ‘pin the tail on the donkey’, ‘musical chair’, ‘Dog and the bone’ and so on are still relevant with the kids of today. Another budget-friendly option is to introduce simple board games that are creative and meaningful. They will certainly create lasting impressions in their memories and bring a very big smile for years to come. Plan the outfits: The outfits can be based on a whimsical theme focusing on the activity of the day. Most of the kids are familiar with stuffed toys so keeping the birthday revolving around them is feasible. Teddy Bear Bash, Mickey Mouse bash or Popeye and so on will set the child’s mood around the room with just a simple fanciful set up of the cartoons within the party room. You can plan an activity around it including coloring the character, tail the character names and so on and serve the cake with its edible picture of the same and become a clever parent. Return gifts are always an instant hit among children. You don’t have to overdo it but think of a realistic budget. You can even try DIY return gifts that are affordable. However, beforehand you decide on the theme you need to buy the things required to complete the look and feel of the creative party look. Last but not the least the party details come only after you think of what kind of cake your kids are really interested in for his or birthday. The toddlers don’t have a choice but accept whatever you decide to buy but if your kid aged 2 years and above he is certainly going to make a demand for the cake of his choice. In this case, you may even need to personalize it. If you are looking to place customized order cake in Jaipur, it’s going to be fun-filled enough to appeal your child and his friends along. Your child’s birthday party may last only for two hours, but the party depicting their favorite characters will be extra good if everyone left happy carrying goodies and chocolates which can also be bought online easily.